David Beckham, in his pants, complete with fluffy pink oven gloves, brandishes a tray full of fish fingers while his wife Victoria sits on the kitchen counter, pouting. Becks, complete with pants and fluffy pink oven gloves, serves Posh fish fingers. 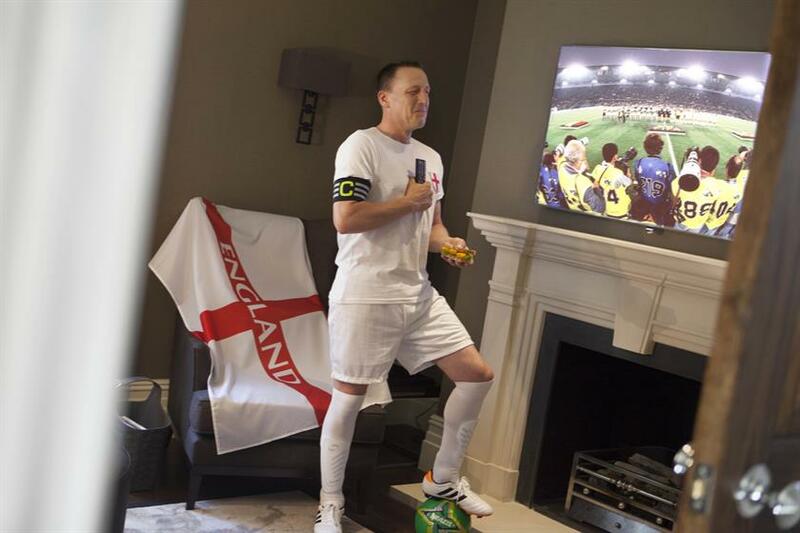 John Terry, holding a fish finger sandwich, weeps in front of the TV while swearing allegiance in his England kit. 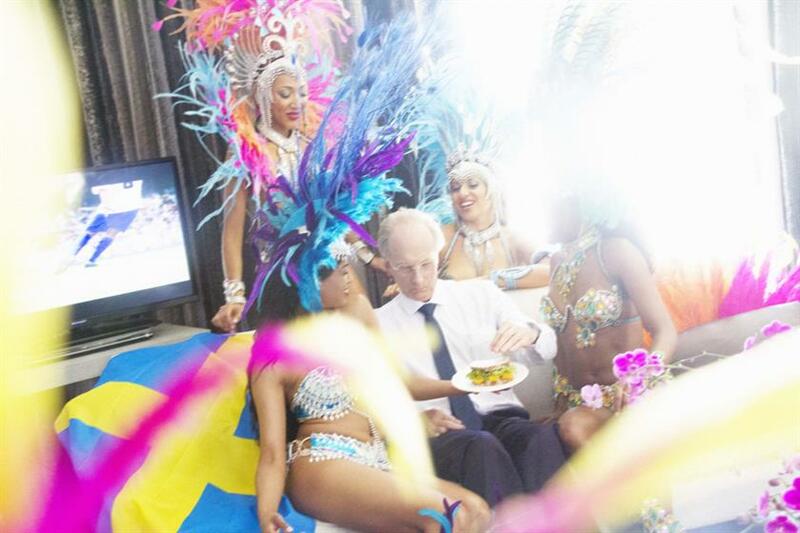 Sven Goran-Erikson eyes a gourmet-looking fish finger sandwich while surrounded by carnival dancers. Or so spoof photographer Alison Jackson would have you think. Birds Eye has enlisted the lookalike creator to imagine what Posh and Becks, John Terry and Sven Goran-Eriksson will be doing in the months of June and July. Beckham will be indoors, cooking for his wife; Terry is imagined crying in his front room, in an England football kit, watching a match while eating a fish finger sandwich, while Goran-Erikson is shown sat on a sofa, about to tuck into a gourmet looking fish finger sandwich, surrounded by carnival dancers.